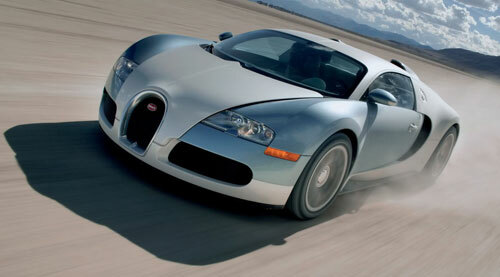 This supercar which equivalent in power to F1 sports car costs at least $1.5 million. 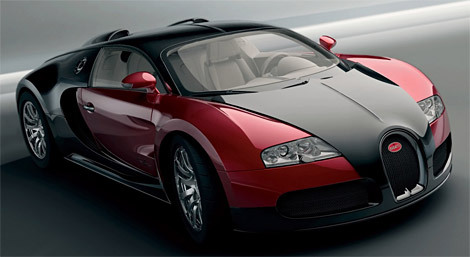 As the quickest production car to reach 100 km/h (62 mph) with an estimated time of 2.5 seconds and with top speed of over 400 km/h and W16 engine that has 16 cylinders in 4 banks of 4 cylinders, Bugatti Veyron has always been a WOW, especially when you manage to turn one of the only 300 available worldwide into a scrap, with the car lost control and spun 3 times due to patch of water on rainy condition, and then hit the into another vehicle before colliding and wrecking into a tree. 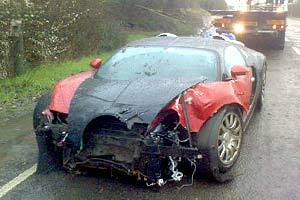 The accident involving Bugatti Veyron occurred at 3pm on 4th March on a 40mph stretch of the B375 near Chertsey, Surrey, England, which may set as the world most costliest accident on road either to the owner who just took delivery of Bugatti Veyron for a week, or the insurance company. 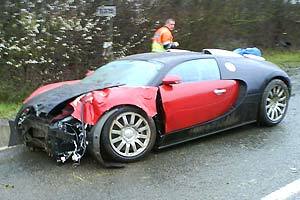 If the sleek car cannot be repaired and has to be written off as according to eyewitness, bits of Bugatti were strewn all over the road, the front had been virtually ripped off, every panel was damaged and the front wheels were pointing in opposite directions, then it will likely produce most expensive scrap in the world too, after burnt a large sum of money into hot air. Best of all, the driver was actually just rented the car for £20,000 a day. With this amount of money, you must be wonder why he doesn’t actually buy one himself. Well, who would use his own car even though it’s to create the first known public accident for the particular model of vehicle? 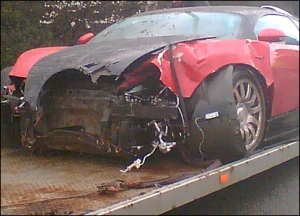 So now we have first accident involving Bugatti Veyron after consumer sales started on public road. It’s really a record breaking accident.